This is a personal blog post from the website caretaker – Vineeta. 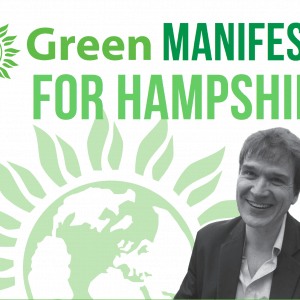 I volunteer at the local New Forest Green Party and attend as many meetings as possible. This month we have started a new ‘Green Drinks’ style event where local members and non-members can come and voice their thoughts related to the green issues. This is technically a get together that should not be political but a joining hands to make the area and our country and hopefully our world better. This get together is to voice opinions and be heard by people who come in with an open mind. Last get together we had was on the 5th of April and we met at the Snake Catcher pub in Brockenhurst, which we have decided is a good venue to continue to hold these drinks until the crowd gets larger. Currently, although its not fixed how often we’ll have this get together, we hope that more people will join in and we can make a stronger and fairer society eventually. This brings me to the campaign that I dearly support. Its called ‘Hope Not Hate‘. Hope Not Hate are working hard to drive out racism. Here is why we need it! HOPE not hate exists to provide a positive antidote to the politics of hate. We seek to overcome the politics and division by building resilience within local communities, equipping activists with the tools they need and monitoring and exposing the activities of hate groups. The HOPE not hate campaign was founded in 2004 in the face of a growing and increasingly successful British National Party. We mobilised local communities, exposed BNP councillors and combined traditional community organising with modern election techniques. In 2010 we helped stopped the BNP from winning control of Barking & Dagenham council elections, with its £200m a year budget, by mobilising 1,500 people and delivering 355,000 pieces of literature in just six weeks. The defeat of the BNP has given us the space to undertake some of the longer term work needed to heal divided communities and also to tackle UKIP’s growing anti-immigrant policies. In 2015 we helped limit UKIP to just one MP by running very intensive campaigns in many of its key target areas. HOPE not hate challenges hate wherever it finds it. We have recently begun a new programme to counter organised anti-Muslim hatred across Europe and we also challenge Islamist extremism in local communities. Please support HOPE not hate in its work. UKIP is facing a severe test in the upcoming May elections. This is the first electoral cycle since its initial political breakthrough, which means over a thousand UKIP candidates are on ballot papers across the country – including 320 in local and county council elections near you. After months of internal struggles, a bad showing in May could determine whether the party has a future. We have a real opportunity here to finish UKIP off. On Saturday 22 and Sunday 23 April, we’re holding local events all over the UK to get our HOPE not hate message out to as many voters as possible about the upcoming elections. This will be our last chance to make a big impact before polling day so it’s a crucial opportunity to get the word out.